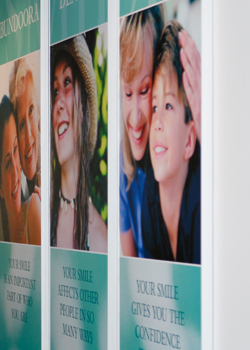 When you arrive at Bundoora Dental Clinic the first thing you will notice is our friendly and caring staff. We aim for you to be comfortable and relaxed when you visit Bundoora Dental Clinic and it is important that we understand you and your needs. The first step to achieving optimal dental health is visiting the dentist for an examination to determine the treatment required for you. Each person is different so you can expect to be treated as an individual with specific needs. At your first appointment you will be asked to fill in your details so that we understand your dental and medical history, as they are linked in many ways. Any information you provide is confidential and assists us to provide you with the best dental care to suit you. During your initial dental examination, your dentist will examine your teeth and gums and provide you with information for any treatment that may be required. There is no treatment at your first appointment unless it is recommended by the dentist or if it is an emergency and you have requested immediate assistance. You will be assigned a treatment co-ordinator and they will be able to explain your treatment and answer any of your questions. On your first dental examination and following appointments you can feel comfortable and confident knowing that our staff have your interest and dental health in mind and will provide excellent professional and personal service to you, as we have done for over 45 years. To make an appointment for a dental examination call 03 9467 3733.